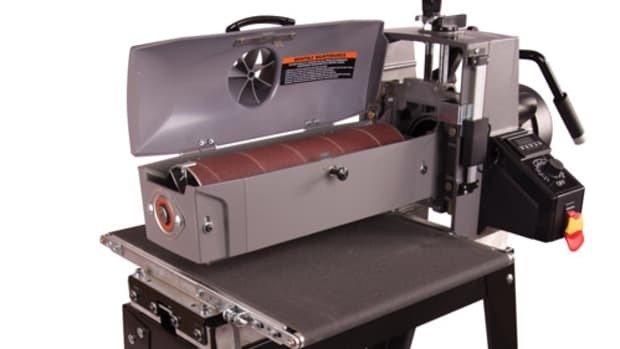 SuperMax Tools introduced the model 25-50 drum sander at the AWFS fair, which the company says is the largest open-end drum sander on the market. 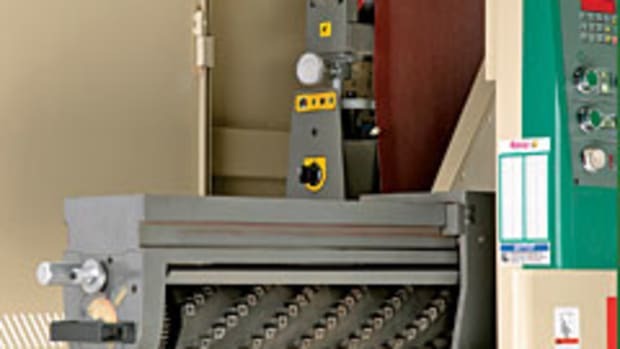 The sander will sand up to 25” in a single pass and 50” in a double pass. 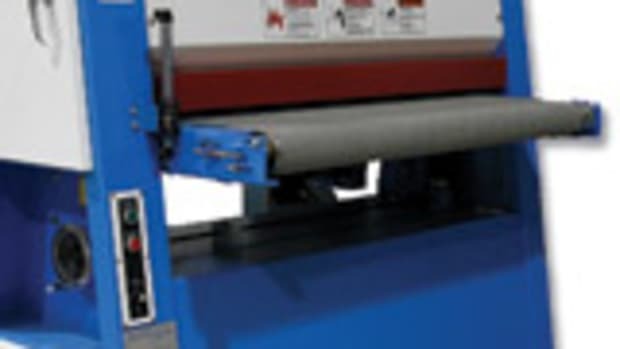 Product manager Warren Weber says the company aimed to keep the new machine as affordable as possible, basing its design off of its award-winning 19-38 drum sander. 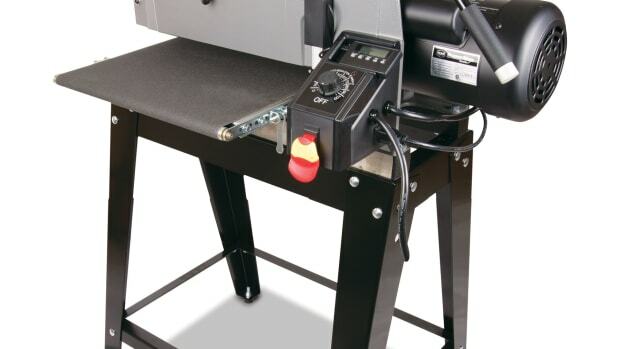 The drum sander accepts material up to 4” thick and as thin as 1/32”. 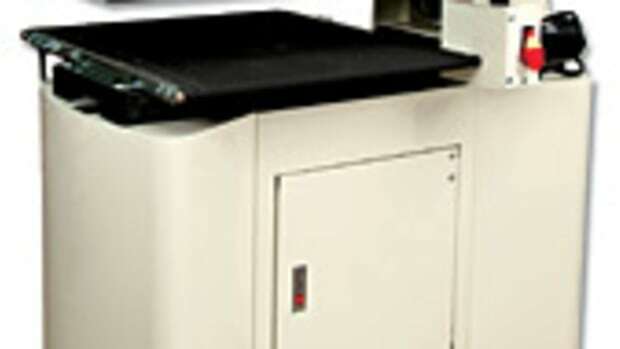 It has two motors — a main 1-3/4-hp motor that operates on 110 volts and a second DC motor that offers more than 40 inch pounds of torque, according to the company. 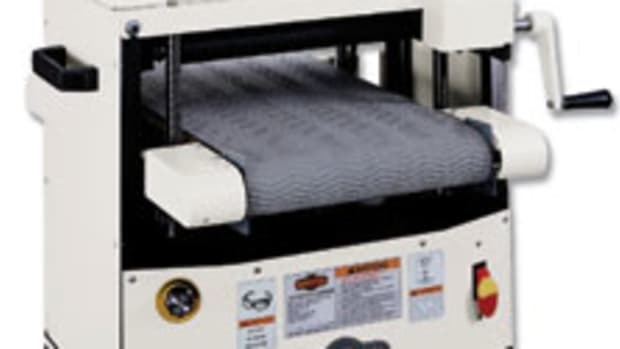 The drum sander also features Intellisand Technology to regulate the speed of the motor, a simple alignment lever, height adjustments and easy-to-access abrasives, according to the company. 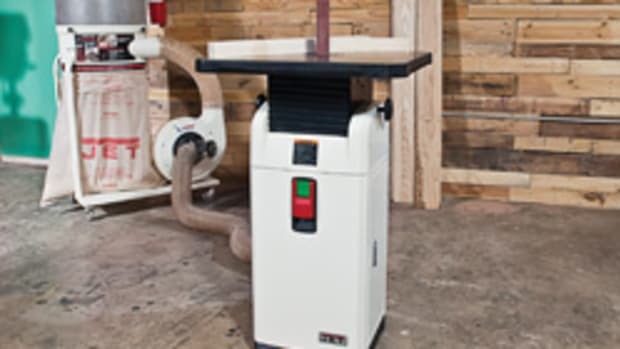 The drum sander retails for $1,999 and includes a closed mounting stand. 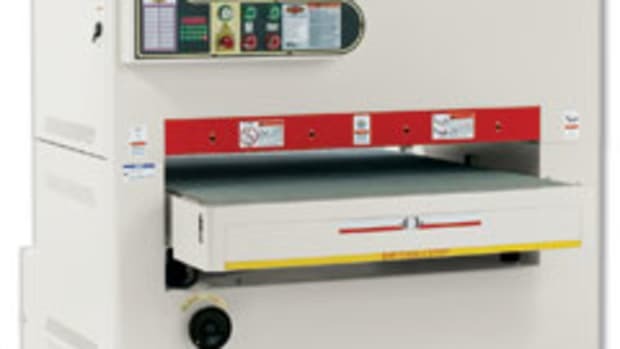 Optional accessories include infeed/outfeed tables and a digital read-out. 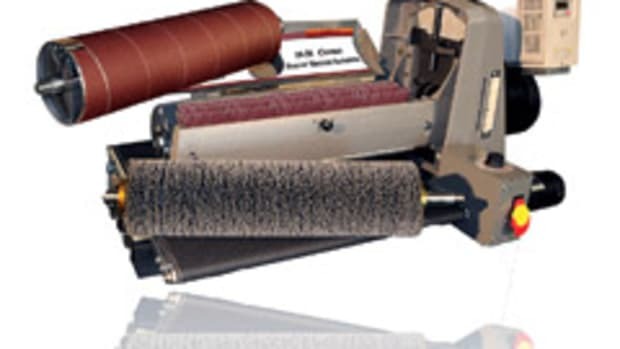 Boxes of precut abrasives strips sell for $24. 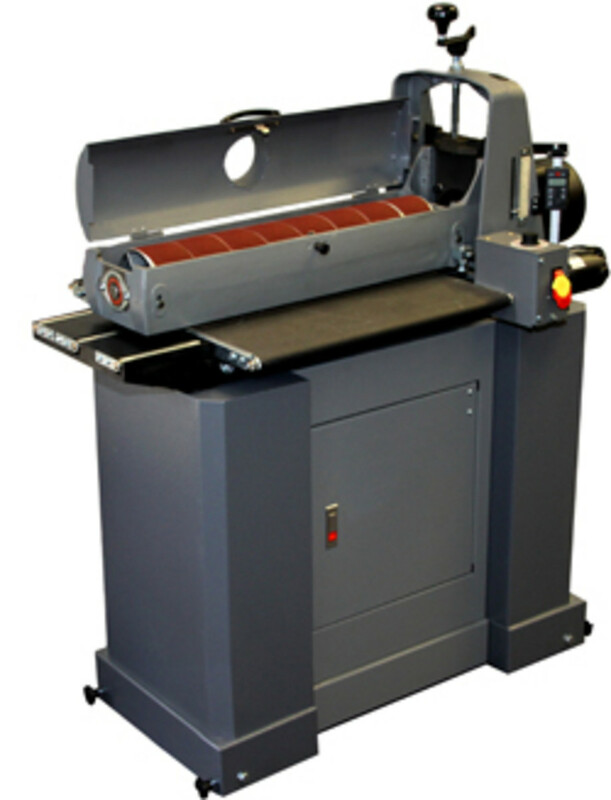 SUPERMAX TOOLS debuted its new 16-32 drum sander at AWFS designed with new features to improve productivity.